You can only open the rear door after unlocking it first. ► Press the button on the SmartKey. 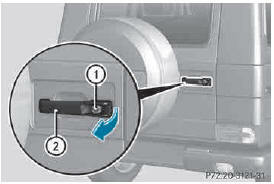 ► Press release button 1 and pull door handle 2.